War time, 1953 Tilbury Floods etc. 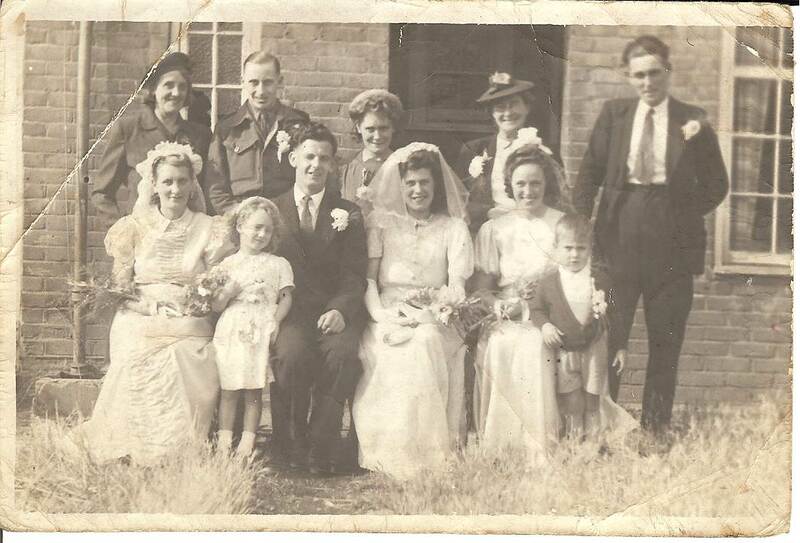 My wedding 1945. Back: ?, ?, Betty?, Mrs Cooledge, Chris Spooner. Front: Iris Malthouse, Maureen Chapple, Cliff (Bill) Cowin, Joan Cowin nee Chapple, Millie Cooledge. I was born in 1919 and lived in London up until 1941 when my flat in Camberwell was damaged in the blitz. I was evacuated to Tilbury (Stephenson Avenue) where my husband was stationed. He was a gunner on ships that operated out of Tilbury. My husband Jim (James Rowland Chapple) was killed in 1944. The ship he was serving on the San Alvaro was torpedoed by a German U-Boat (U-510) in the Indian Ocean. He was mentioned in despatches and his name appears on the war memorial in Civic Square. I was now a war widow living on my own with two very young children. I remember the air raids and I was terrified. I had to struggle to carry two young children, one under each arm, bumping down the stairs on my bottom out to the corrugated air raid shelter in the garden. I always took them both together as I was frightened to leave one behind on their own. Later they supplied a metal table with reinforced sides that we could get under located in the house. I would watch the German bombers targeting the docks and watch the planes dog fighting overhead. I also remember the planes returning from their missions some with their engines spluttering and some with flames visible. I vaguely remember one of our planes being shot down near Manorway School; I think a Polish pilot died in the crash. There was an enormous anti-aircraft gun on the Daisy Field which had a loud boom that would shake my house when fired (being just a few yards away). The Daisy Field was also covered in Army tents. Some were the servicemen operating the Anti-Aircraft gun and some were billeted there waiting to embark at Tilbury. There was also a large army camp alongside Fort Road which was also used for prisoners of war. Convoys of troops would drive along St Chads Road to embark at Tilbury Docks. As they passed they would throw out any money they had left to the children (no good to them in France). It was very dangerous as the children would be running in and out of these large military vehicles. I was a young woman in my twenties and was constantly being stopped by servicemen in uniform and asked for my ID. I was very naive and it was much later that I found out that they were not supposed to do that and were just using it as an excuse to chat me up. I remember the blackout curtains and the Air Raid Warden banging on peoples windows shouting ‘Turn that ******* light off’. I used to have night light candles in a saucer of water. There was always a supply of black market ration coupons for those who could afford to buy. One lady who worked at Batas would sell coupons she had smuggled out. The WVS would supply subsidised meals from the Sausage Factory in Toronto Road. I remember the Tilbury Hotel being bombed. Times were very hard and I couldn’t afford the £1 a week rent for Stephenson Avenue and moved to a smaller house in Thackeray Avenue which was 10 shillings a week (50p). Even then I couldn’t afford coal and we would go out collecting anything burnable for the fire, bits of wood, old shoes etc. I remember the old Tilbury market on the corner of St Chads Road and Civic Square, Gaffeys General Store, Lil Robinson, Vets. The Mobile shops, G. Holmes and Freddie Moore with their horse and carts, Genty Lee with her horse Dolly who would bare her teeth when she was in a bad mood (the horse not Genty), the rag and bone man and even a horse and cart collecting pig swill. Also Mr Waller selling shellfish from a cart he wheeled about the streets. Then the motor vans, Tom Lockwood, Goolie Goyette, Lemonade man, Bakers, Coalman and many more. Another Tilbury character was Jack Harrop also known as the Peanut King. He used to live in one of the dilapidated terrace houses in Fort Road. He had lost a leg through diabetes and used to go the Words End in his invalid carriage to sell his bags of peanuts. 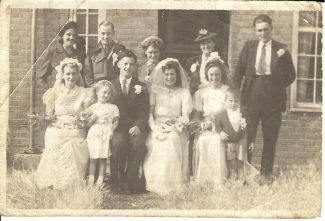 I married again in 1945 at West Tilbury Church to Clifford Austen Cowin (Bill) who spent much of his working life as a porter at Tilbury Riverside Station until he retired in 1985. We continue to live in Tilbury up until 1967 when we moved to Horndon on the Hill. I remember watching anxiously as the water got deeper creeping up one stair at a time. Having never experienced anything like this before we wondered if the houses would be completely covered, and considered using our wardrobes as boats to put the children in. When we waded in the water we could feel the tingling from the electricity meter. Our cat was floating on top of the sideboard and our tortoise was floating in it box, both were saved. We waded through the water to the bottom of Chadwell Hill were it was dry. Because of the pressure of the water we had to leave our doors open and unfortunately there was a lot pilfering from the houses unattended. We lived in temporary accommodation at Orsett Army Camp (myself, my husband, three children, a cat and a tortoise) before our homes were just about habitable again. I remember day trips to France on the Londoner. Hi Cliff thank you for getting back about my nan Iris Malthouse. My nan died young. I am so sorry to hear about your mum thank you for telling me. I loved reading her story. It was very interesting. I did ask mum about your Nan Iris Malthouse some time ago. Although she was her bridesmaid she didn’t remember much about her, but did say she was a lovely girl (they were just young girls then). Apparently times were different just after the war. Mum was born in London and evacuated to Tilbury during the blitz (next to Tilbury Docks to escape the bombs! ), so had not lived in the area very long and had not formed any close friendships at that time. Even though they were not closely acquainted your Nan kindly agreed to be my mum’s bridesmaid. 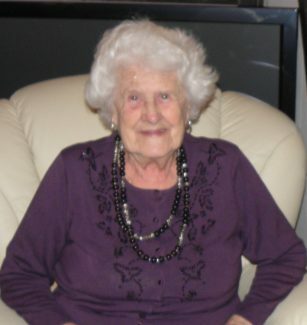 Sadly mum passed away on 7th September 2016 aged 97. HiCliff i hope you do not mind me asking this question but has your mum mentioned my nan Iris Malthouse at all. A very interesting story lots of information about Tilbury of days long past.